One of our National Coordinating Group’s interests is to take forward concepts and designs for campaigning leaflets directly of relevant to Scottish pensioners. It’s easier said than done! But our leaflet committee made a proposal to go ahead with three new leaflets. One of them focuses on pensions. Jim Stamper of the Glasgow group has spent a great deal of time coming up with the basic concept, researching the information, and beginning to put it together in an actual leaflet. We are lucky to have the help of a professional graphic designer to take our initial ideas and produce the finished product. When we have the leaflet design finished, it will be uploaded here. We’ll also have all the references to the source material here as well. This entry was posted in Leaflets, Pensions on 20/04/2019 by MmH. 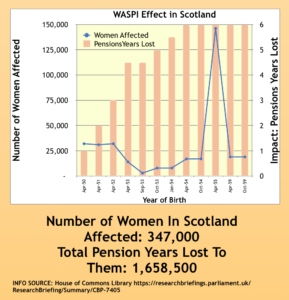 There are around 350,000 Scotswomen affected by the transition to equality in men and women’s State Pension Age. The initial Westminster Pension Age Act was in 1995 and it set out a gradual pathway to equalise the pension age for men and women. But in 2011 a second Pension Age Act increased the rate of change for women and increased the overall pension age to above 66. This has created a group of women who are partially badly affected. 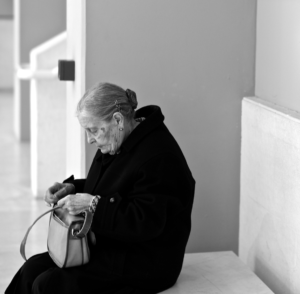 Women born in the mid-50s are losing six years of their State Pension. This entry was posted in Pensions on 03/12/2018 by MmH. Life expectancy in Scotland is currently lower than in the rest of the UK. On average between 2010-12, a 65 year-old male in the UK could be expected to live to around 83 years 5 months compared with 82 years 11 months in Scotland, and a 65 year-old female in the UK could expect to live to 85 years 11 months whereas in Scotland it was 84 years 6 months. 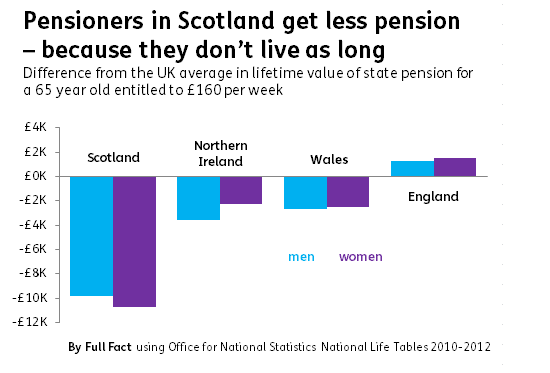 According to the Scottish government, this means that “a 65 year-old entitled to a total pension of £160 per week could expect the lifetime value of their state pension to be around £10,000 (men) or £11,000 (women) less in Scotland than in the UK as a whole”. This entry was posted in Pensions on 08/03/2018 by Andy P.
UK State Pension officially the worst in the world (worse than Mexico)– but still needs to be cut further. Middle income groups receive worse pensions than any other country in the OECD. Government actuaries say under-30s won’t get state pension till their 70s as new State Pension system is unaffordable. This entry was posted in Pensions on 15/02/2018 by Andy P.
Where You Die Before Being Old Enough to Collect Your Pension? THE state pension age may rise above life expectancy for men in more than 160 Scottish communities unless the system changes, MPs warn. n a new report, the Commons Work and Pensions Committee says claimants would have to be 70.5 years old by 2060 if the current rate of annual increases is sustained. This would exceed the average male life expectancy in more than 160 parts of Scotland and almost 30 in England. Committee chairman Frank Field said the “triple lock“ which guarantees the state pension rises by average earnings, the consumer price index, or 2.5 per cent, whichever is the highest must be scrapped to avoid people working to death. He said: With the triple lock in place, the only way state pension expenditure can be made sustainable is to keep raising the state pension age. This has the effect of excluding ever more people from the state pension altogether. He said those affected would be disproportionately from more deprived areas and manual occupations. This entry was posted in Pensions on 03/03/2017 by Andy P.